I know, from previous experiences, that We Are Cardiff readers are super generous people. You’ve donated money / time / toiletries / clothes / books. You’ve helped vulnerable women at Christmas time, abandoned dogs all year round, supported Doctors Without Borders, and you’ve supported the homeless time and time again. 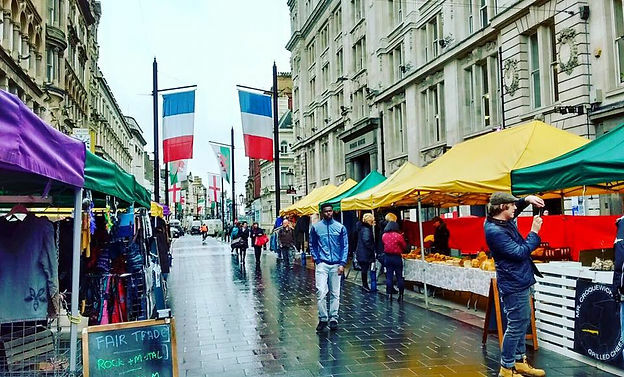 Well guess what – you’ve got another chance, this time, through The Street Store’s pop up, which is being run in Cardiff by the Sustainable Studio. It’s the first one in Wales. 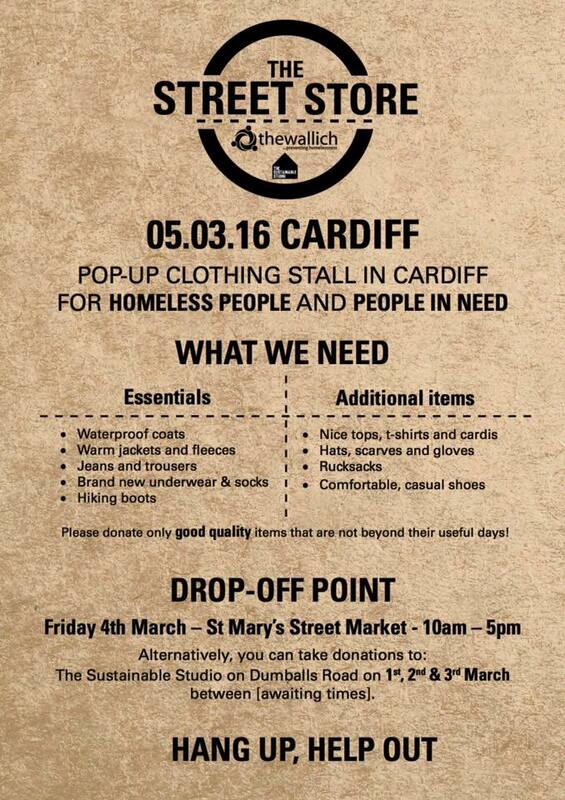 You can donate any unwanted clothes you have and help a person who’s homeless or in need. Please donate only good quality items that still have some life left in them! The Sustainable Studio, Dumballs Road, which will be open 1/2/3 March – times tbc – check the SS website for details). The event is being held in conjunction with The Wallich homelessness charity who will be on hand to provide advice and support. The charity supports current and former rough sleepers as well as people who have moved into its hostel accommodation after losing their homes. So get your stuff together and go donate! This is a great cause. If you’re looking for an excuse for a spring clean, then this is the perfect one. NB: if anyone’s feeling motivated to spring clean but doesn’t know where to begin, I read Marie Kondo’s The Life-Changing Magic of Tidying Up recently … and highly recommend it.